One of my projects during my time off was to put some wood panelling on our entrance wall. My parents came to put it up and sort out all the technicalities we encountered in the process! We are very happy with the finished result and with the whole experience. A big thanks to them! - pot of Dulux mid-sheen brilliant white satinwood (the only one that was actually recommended for wood). The wood was 8mm redwood. 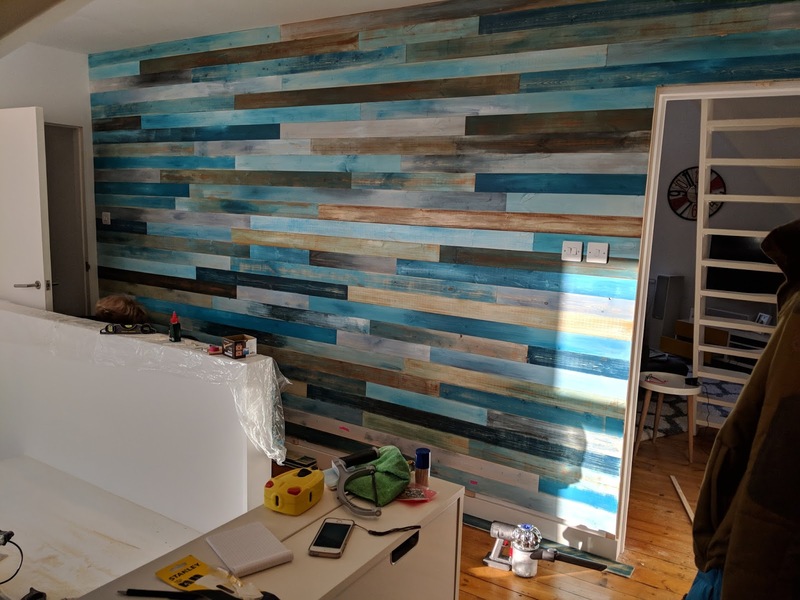 I used several colours on each plank, blending them, sometimes layering to make a 'distressed' look. Some would say we could do it haphazardly, but let's be honest, I wasn't. I tried to keep the colour balance I had in mind for the final project. Next step was to sand off two thirds of the planks. After working on the first plank with sandpaper and elbow grease, we bought an electric sander for this! We applied wood dye on some of them (mainly Liberon water-based Teak and Antique Pine). In the mean time, my parents prepared the wall with regularly spaced battens. We got ourselves a mitre saw to cut the wood planks. It helped us obtain a neat finish, and saved us lots of time! We were lucky the walls and ceiling were rather straight. 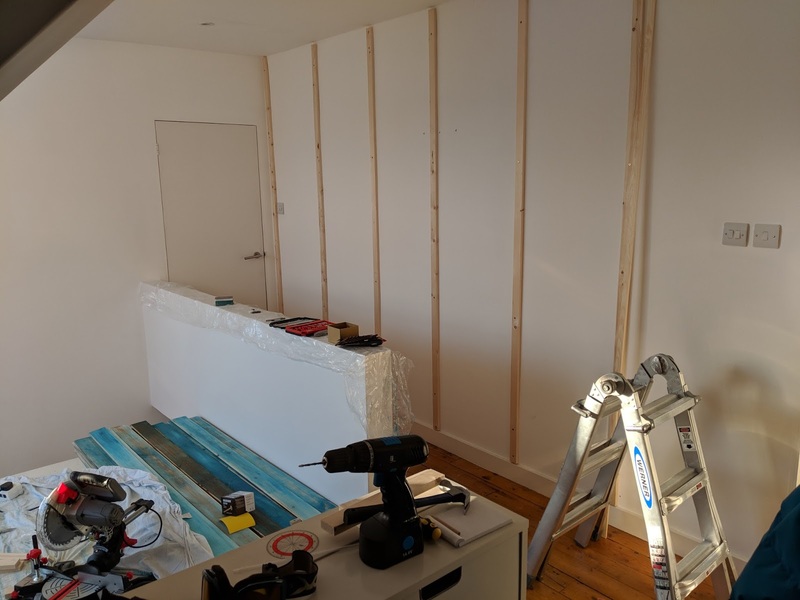 We started from the top so that the cut on the last plank (which needs to at an angle to follow the slope of our floor/ceiling) would be hidden by a skirting board. We chose each plank to put on so that they were homogeneously arrayed. This was my task, and it took more time that my dad had anticipated.